SpaceX CEO Elon Musk wants to establish a base on Mars — but he isn’t sure its first resident will be human. On Friday, the mercurial billionaire responded to a question on Twitter about whether a sophisticated artificial intelligence might touch down on the Red Planet before human colonists. Musk’s answer: 30 percent. 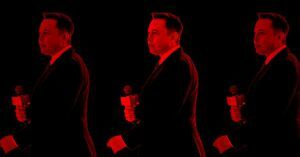 Musk has a fraught relationship with the topic of AI. He’s publicly warned about the danger’s of unregulated AI, even going so far as to found the organization Open AI to encourage the development of responsible machine learning systems. But Musk also believes that AI could be made to help humankind — or that the two could even merge, ushering in a new era of evolution. Or, as the Friday tweet shows, it seems that Musk could get on board with AI as long as it could help further his visions for the colonization of space. The post Elon Musk Thinks the First Mars Settler Could Be an AI appeared first on Futurism.